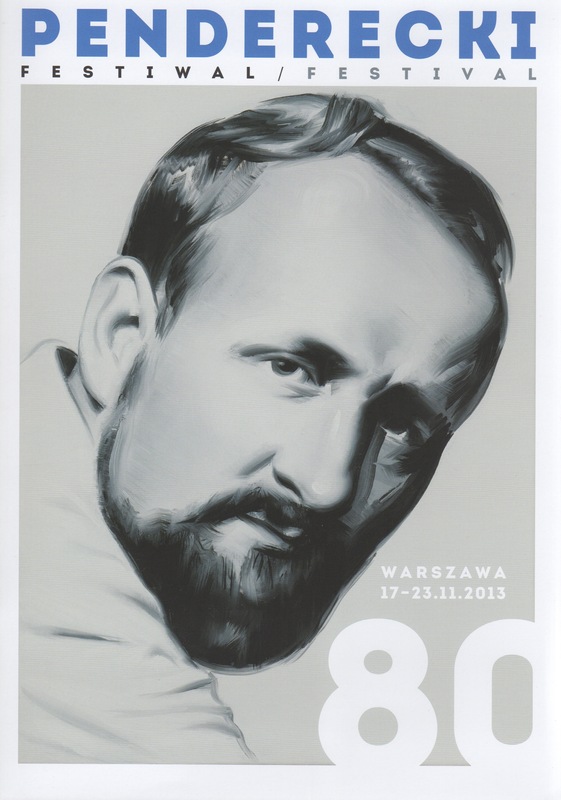 The Polish artist Edward Dwurnik (b.1943) has produced what you might call an ‘interesting’ portrait to mark the golden wedding anniversary of Krzysztof Penderecki and his second wife Elżbieta. 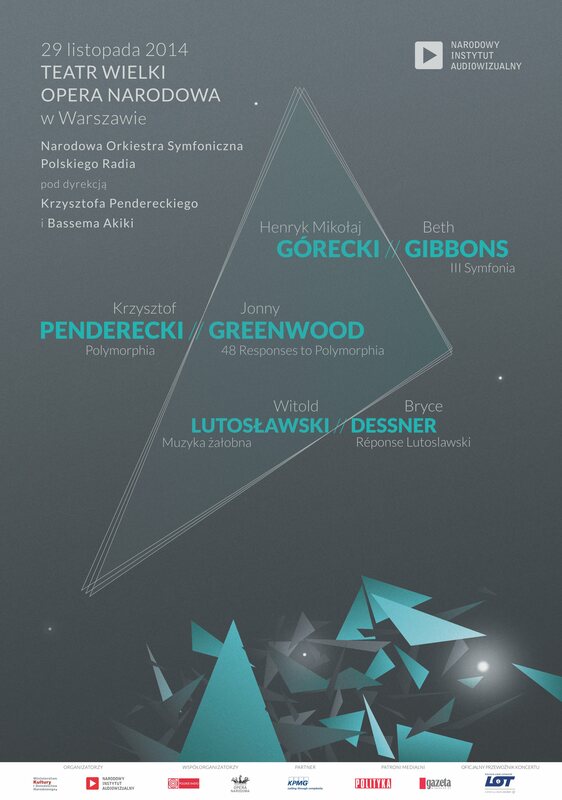 The imagery will probably be better understood in Poland than abroad because of Elżbieta Penderecka’s formidable activities there as an animateur of musical life. 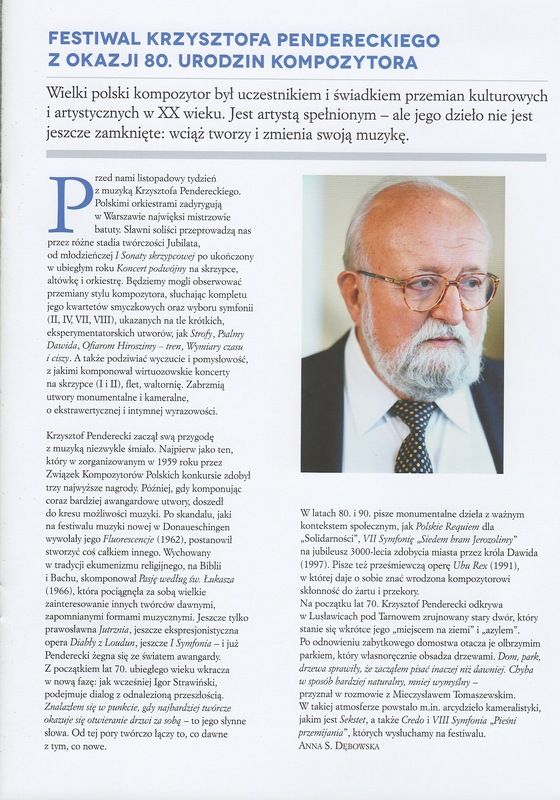 The image was published earlier today by the magazine Podsłuchaj! (Eavesdrop!). 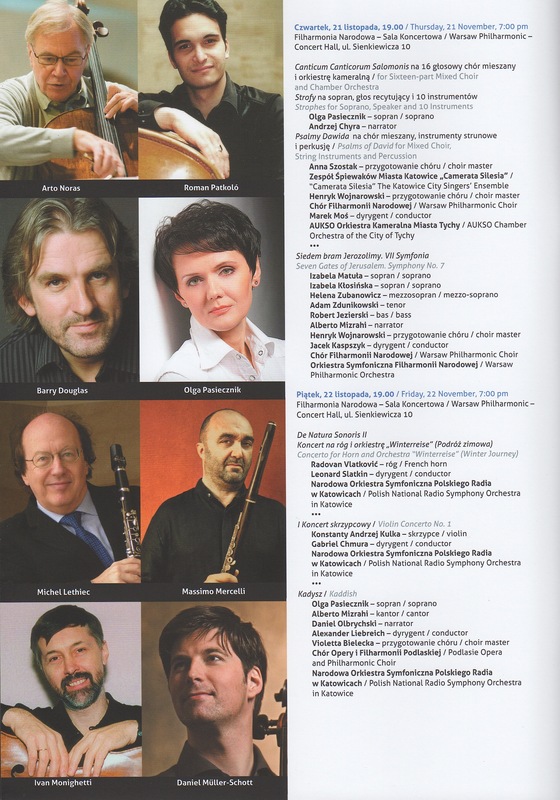 The 2014 Presteigne Festival in mid-Wales (21-26 August) has designed a special focus on Polish music. 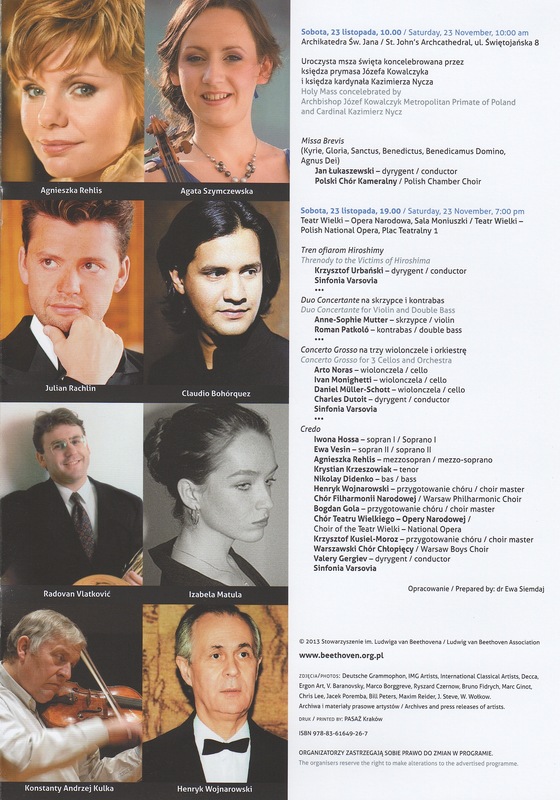 This includes a new commission and premieres as well as sampling the music of composers such as Bacewicz, Lutosławski, Penderecki and Górecki. 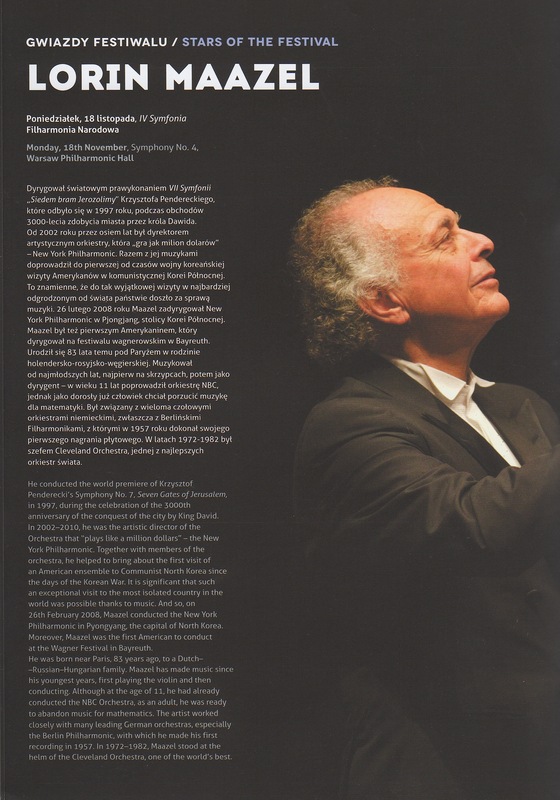 There is a particular emphasis on the music of Andrzej Panufnik, on the centenary of his birth. 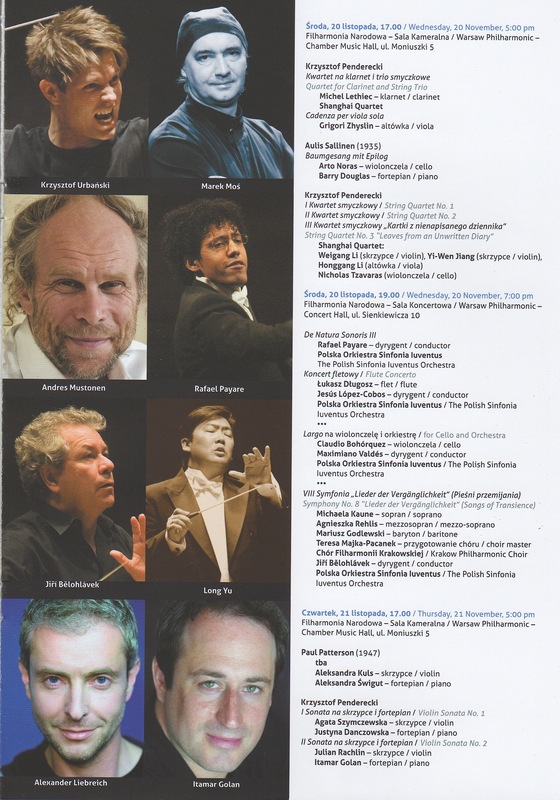 The full schedule may be found at: https://www.presteignefestival.com/PDFs/PF2014_brochure_for_web.pdf. 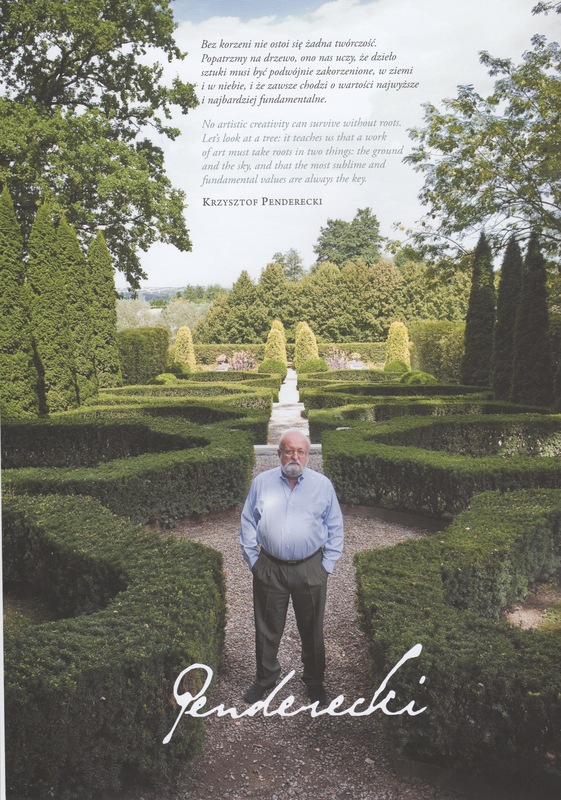 I have been remiss in not uploading details of the major Polish celebration of Krzysztof Penderecki’s 80th birthday, which falls on this coming Saturday, 23 November. 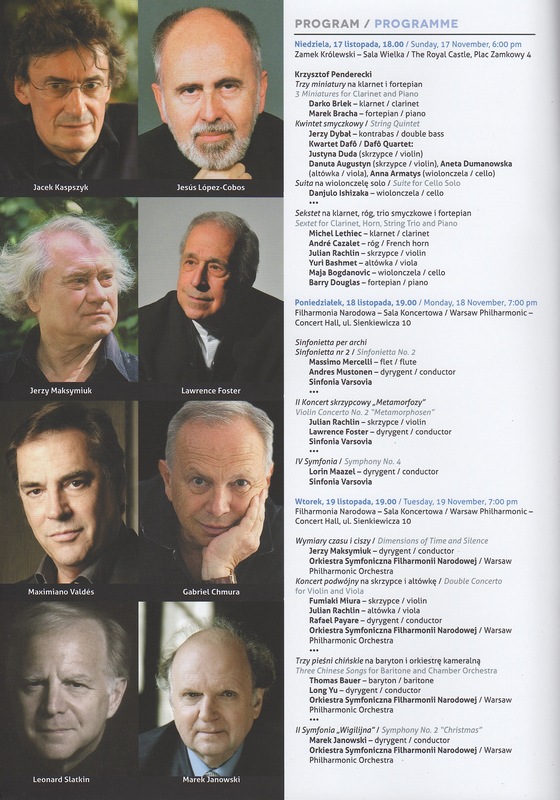 A week-long festival is taking place in Warsaw and boasts a star-studded line-up of soloists and conductors. 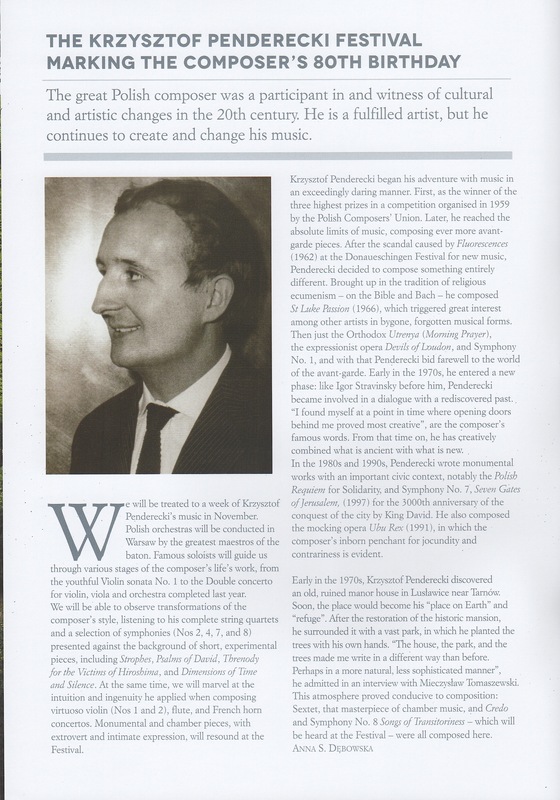 It encompasses his orchestral, choral and chamber music from over 50 years and is a well-chosen survey that demonstrates his unique contribution to the music of our times, ranging from the Three Miniatures for clarinet and piano (1956), through Strophes (1959), the (in)famous Threnody to the victims of Hiroshima (1960) and Dimensions of Time and Silence (1961) and on to the style-changing First Violin Concerto (1976). 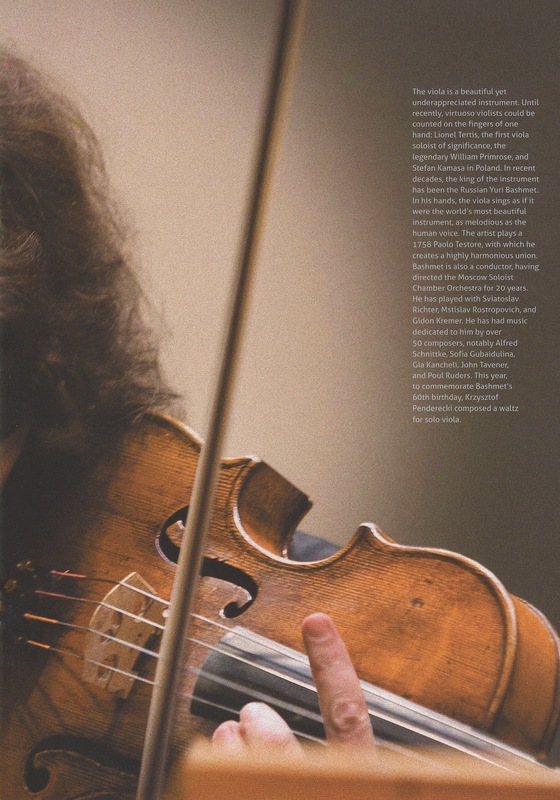 The most recent works are the Double Concerto for violin and viola (2012) and Missa brevis (2012). 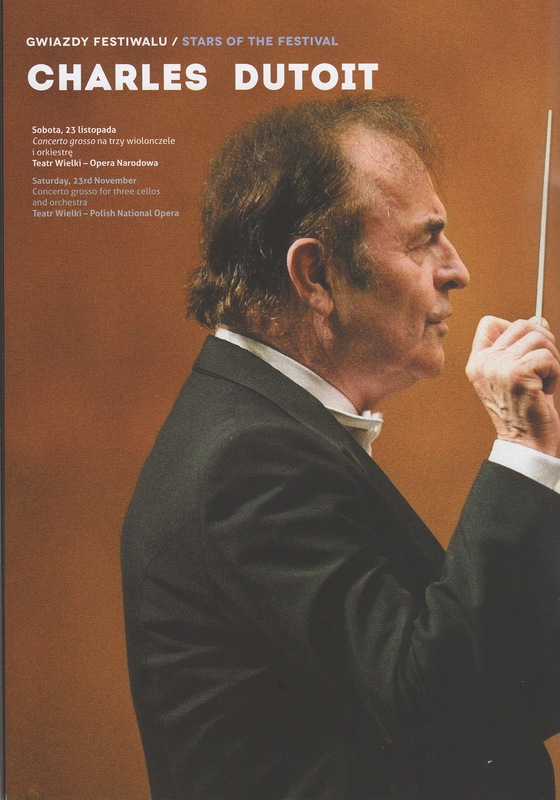 There are four of the symphonies: no.2 ‘Christmas’ (1980), no. 4 ‘Adagio’ (1989), no.7 ‘Seven Gates of Jerusalem’ (1996) and no.8 ‘Songs of Transience’ (2005/2007). 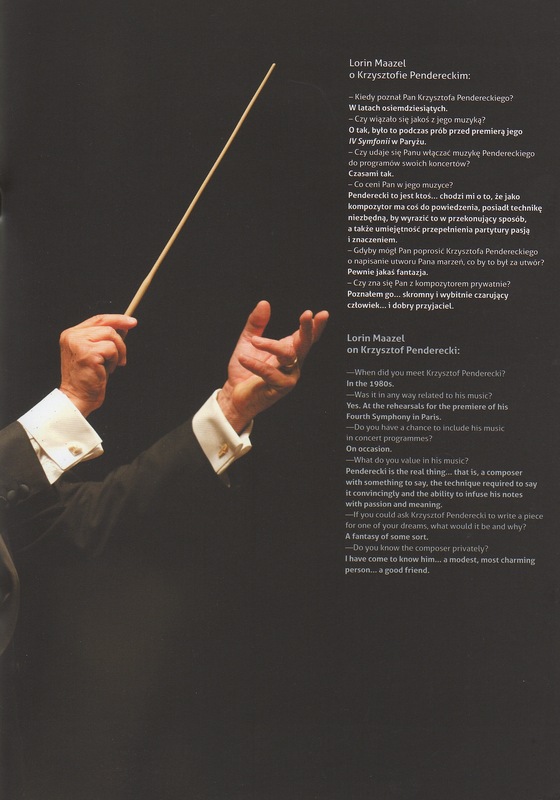 Choral music includes Credo (1998) and Kaddish (2009). 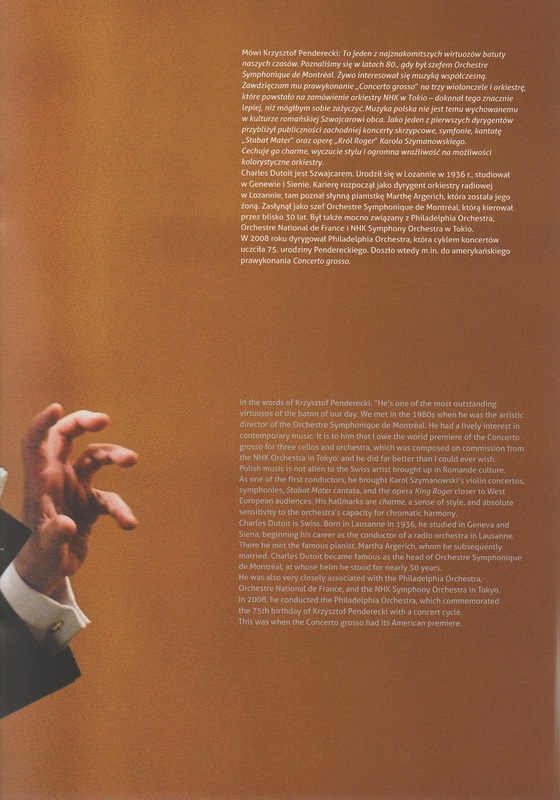 There is a good deal of chamber music, including the three string quartets (1960, 1968, 2008), plus two works by other composers, Aulis Sallinen and Paul Patterson. Here’s the brochure.